Fixing the redirects was the first thing to rectify alongside the initial issues with the site migration. We managed to use both the insights from the corrected redirect mapping, and cached versions of the previous sites, to identify missed opportunities and add missing pages from the old site (counting for 100’s of 1000’s visits) to the new architecture. Alongside this, we implemented an SEO-friendly faceted navigation to enable us to target niche areas where the old site could not and through extensive keyword research identified areas of page expansion for brands and designers, which proved to be a big USP for Heal’s. 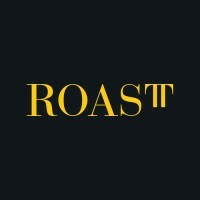 As an example of content campaigns being produced to increase brand awareness, ROAST worked with influencer Peter Berthoud, one of London’s predominant local historians, to produce an online and offline tour which explored the history of lighting in London and aimed to increase traffic through lighting product pages. On top of increasing traffic levels, executing an in-sync online and offline campaign was a first for Heal’s and demonstrated ROAST’s part in shaping the future of the business. It also brought the brand into contact with influencers and journalists that would provide them with useful alliances moving forwards.